Another Time, Another Life is a marvellous book. Part of a trilogy subtitled “The story of a crime”, it begins with a terrorist attack on the German embassy in Stockholm in 1975. This was the year that the last Martin Beck book, The Terrorists, by Maj Sjowall and Per Wahloo, was published in English translation; as might be expected from the use of the same overarching title, Persson’s first section directly continues the themes of this novel, both in content and in style. Based on a true event, some young radicals manage to get into the embassy and take some people hostage: the police and authorities are taken unawares, but in the end cannot investigate the crime as government ministers do a hasty deal to return the surviving perpetrators to their native Germany. There are one or two loose ends, however, concerning the local support that the terrorists must have received. The presentation of this first, short section of the book is so distinctive, setting the tone for the rest. It is measured and sober, describing enormities of violence, procedural deficiencies, and institutional stupidities in dispassionate terms, allowing the reader to absorb their full impact. The author’s refusal to be overtly opinionated at first gives his words a face-value authority, but as the book progresses one sees the extent to which the author is wooing the reader to his particular subversive perception of his country’s criminal justice system. After the end of the embassy siege, the action moves forward to the autumn of 1989, and a murder investigation by the Stockholm police, under the command of the odious DI Backstrom. The lead detectives, Bo Jarnebring and Anna Holt, conduct an impeccable investigation into the murder of a government statistician in his apartment, but Backstrom continually undermines them by stealing liquor from the murder scene and, more importantly, by his inherent, longstanding but evidence-free conviction that the victim was gay and that the murder was a squalid crime of passion. The crime investigation ultimately seems to lead nowhere, and the book shifts into another “Another Time” section describing the events leading up to the fall of the Berlin Wall and the origins of the Swedish secret police organisation SePo. Slowly and cleverly, all the themes raised in the novel converge, in terms of international and national spy-politics, in terms of some individuals on either side of the law, and in terms of the two main crimes whose investigations are described with such thoroughness. In parallel with these accounts, Persson conveys something of the inner thoughts and machinations of his principal characters, some in the “public facing” police force and some in the “private” branch of SePo. The full degree of the author’s indictment of the way in which his country is run behind the scenes is simply brilliantly conveyed, a superb extension and development of the ten-novel “story of a crime” – post-war Swedish society – depicted by Sjowall and Wahloo. The intelligence, thoughtfulness and tension delivered in Persson’s novel are rarely encountered in crime fiction (or probably any fiction), as the author shows how the “solution” to a crime is only the beginning of the story. I don’t like the common tendency to liken authors to other authors, but I will do so here because this book is reminiscent of Le Carre at his best: think of Smiley’s People, which starts with an apparent “petty” crime on Hampstead Heath, then mushrooms in many unanticipated directions. Persson writes from the perspective of the police institutions and how they, and the individuals within them, have adapted to survive in the changes that have taken place (in this case) between the 1970s and the turn of the millennium. By then, the goals of the police force are even more removed from those for whom they supposedly existed to help in the first place, and those in power in the service are those who have adapted to these immoral and illegal “high level” purposes. Persson also shows his colours concerning the institutionalised sexism of the police, somewhat unclear in his earlier novel Between Summer’s Longing and Winter’s End, but here presented in an uncompromising fashion via his team of three female detectives and the inevitable comparisons readers will make with the self-interested male policemen depicted in this book. I thank Karen for a proof copy of this novel. The UK cover of the novel is a generic “Scandinavian” picture of a person walking in the snow, which does not seem to reflect anything in the book. The lower cover image is the US version, which is aesthetically nicer and somewhat less generic. A small point that interested me is that the name of the main victim is Kjell Eriksson, also the name of a well-known Swedish crime novelist. And the admirable female detective, Anna Holt, has a name reminiscent of Norwegian crime author (and ex-justice minister) Anne Holt. 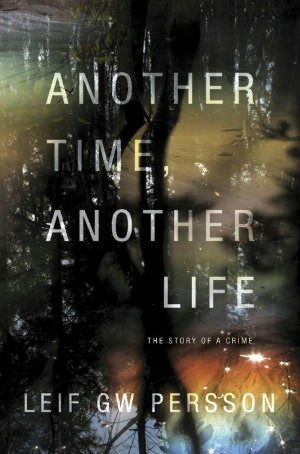 Other reviews of Another Time, Another Life are at: Euro Crime (Laura Root), Crime Scraps and International Noir Fiction. Certainly I must read this book, or should I say better, this trilogy. Thanks for an excellent review as always, Maxine. they are very long, Jose Ignacio, so one has to be in the mood & have time! Great review. I admit it makes this book tantalizing. I will recommend it to friends. Right now I’m reading Malla Nunn’s excellent third book Silent Valley (or Blessed are the Dead over here) and I’m struggling under the TBR avalanche. When I come out from under in about 2015, I’ll add more books to the stack. I will, however, pass along the suggestion to mystery readers in my vicinity who thirst for good books, especially anything even approaching Scandinavian. I’ll look out for that Malla Nunn, Kathy, thanks. This is ANOTHER books itting on my shelf but it’s going straight to the top of my TBR pile if you’re comparing it to Smiley/Martin Beck. I can’t wait to read it. Do you think I should read book 1 first? Yes, you can read this without having read 1; I think it is more accessible. I attempted book 1 but pretty much gave up on it in frustration. Book 2 (this one) is a linear narrative and easier to follow. I’m now going to go back to book 1 as I think I’ll appreciate it more having read 2, but it is much more convoluted. This one (2) is very Sjowall/Wahloo like, especially the cynical ending/”solution” to the crime. Maxine – Oh, you’ve got me so tempted! It sounds as though this one really weaves together past and present in an intriguing way. I’m also a real sucker for novels like this one that take uncompromising looks at society through the lives of individual people. Thank you, Margot. Well worth the effort, on this occasion. I found the first in the trilogy unreadable, though clearly others have more stamina than I (e.g. Norm). Everything I’ve heard about this one makes me tempted. Are they that different? I also found the first totally unreadable! But yes, this one is very different. It has actually made me decide to give the first one another try now that I feel I have some context & know the characters ( J & J). Another Time Another Life is essentially a linear narrative, & a very good story, as well as everything else, so easy to follow. Unlike Between SLAWE which jumped about all the time between characters, time & countries, to total confusion on my part (as well as all the misogynism, which having read ATAL, I realise was intended ironically (was not clear at the time).) I’d definitely recommend giving this one (ATAL) a try, Laura’s EC review and Norman’s review are also positive – Norman was much more positive about this second book than he was about the first. So glad to hear that this one is more accessible as I admit to giving up on the first in favour of poking my own eye out with a blunt pencil. But you have made a very strong case for this one. It’s going on the top of the wishlist. Ha ha, Bernadette 😉 I don’t really understand why this one is labelled as #2, really, as it starts in 1975, before the start of #1, and is far more accessible. Anyway, glad you are still considering giving it a go! Thanks, Thomas, for the info. 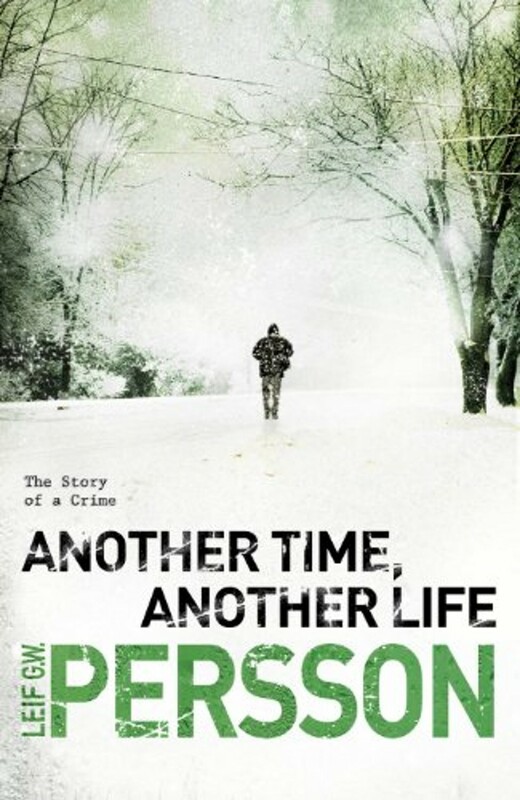 I know Persson has published in Sweden for many years without having been translated into English – this is only the second to have been translated (this year, the first one was last year). It would be nice to be able to read these other books you mention, one day!